There is no question that in the physical retail sector, due to the rise of online retailers, there is a store traffic decline. Leading retailers have realized that this is a reality they cannot change, but they can fight. If we can get a higher percentage of traffic to buy, even if traffic decreases, sales will increase. Then, the weapon to combat store traffic decline is the in-store conversion rate optimization. That means we have to make the most of sales opportunities. How can we do it? First of all, we have to identify why clients shops at the store. According to several studies, many consumers prefer to shop in a physical store because they look for the personal treatment of customer service and the fact that they can see and choose the product and take it home with them. But we also need to identify why shoppers visit a store but leave without purchasing: poor customer service, long till line-ups and stock-outs. Providing good customer service is one of the reasons that encourage customers to buy, and poor service means they don’t end up buying. In addition, customer service is one of the main points of differentiation of physical stores with ecommerce. Then it will be crucial to focus efforts on optimizing the in-store conversion rate through the main asset that stores have: customer-facing employees. The main objective is to turn employees into conversion champions. In order to achieve this goal, we have 7 tips to improve the in-store conversion rate, such as we explained in our last webinar: Discover how to maximize the sales potential of the store. According to a study by Aberdeen Group, Data Driven Retailers are more successful in all business areas. Such as customer satisfaction, employee satisfaction, in-store operations, return on marketing investment, delivery services and brand awareness. 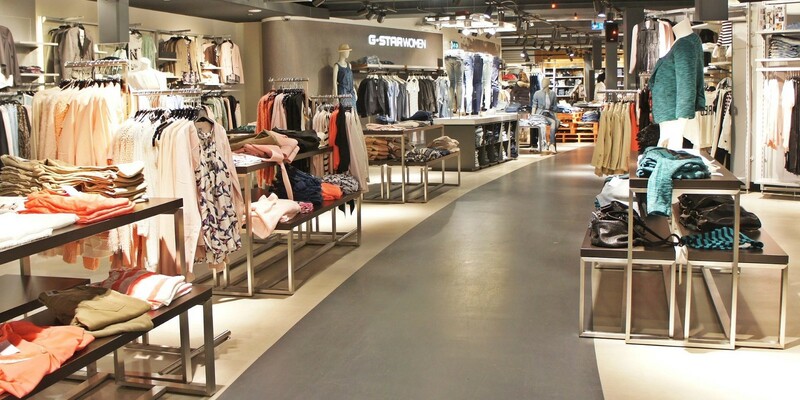 In order to adapt the right store resources to the client demand, it is important to measure the footfall in store. Track store traffic is necessary because it defines the sales opportunity size. Once we have a reliable data history, we can accurately predict daily footfall, hour by hour. Add information and view it for easy data comprehension. Identify the sales drivers: When do you sell more? When do you sell less? Why? It is important to know your business and understand your client’s behavior and preferences. Adjust the daily in-store conversion rate by hours, with the store traffic. Taking into account that: employees are the main asset of stores to influence the purchasing decision of the customer, and changes in CR usually have traceability with changes in staff behavior, such as scheduling. At peak hours you can’t lose sales opportunities, in fact this hours are the most important ones. But the conversion is earned at every hour of every day, not just in peak hours. That`s why it is important to try sell at all times. Even in low traffic hours. Use the data to be accurate in forecasting visits. Calculate the optimal sizing of store employees at any given time depending on those visits. Having less employees than necessary reduces the quality of the service and makes you lose sales. However, having more employees than necessary wastes work hours, which is a huge labor cost. Predict long-term store activity, and then plan employee hiring based on visits and sales. In this case, you will never have too many or too few employees on your workforce. In a long-term, this tool plans the right structure of the store taking into account questions such as: How will the store’s activity be distributed throughout the year? Do I have the necessary staffing structure at all times? When should I hire or release contracts? In order to answer this questions, the solution predicts and distributes activity at a year’s notice thanks to Machine Learning techniques; analyzes coverage status using mathematical optimization; and finally, identifies the optimal hiring plan. In the short and medium term, the tool plans schedules and tasks in order to control the footfall per employee and customer service. We expose the questions we encounter when creating this planning and how the tool solves it. How many customers are going to visit my store each hour? The solution creates a footfall forecast thanks to Machine Learning. What sizing of the store staff maximizes in-store conversion rate and average ticket? The solution creates an optimal sizing which maximizes performance, again thanks to Machine Learning. What hours and tasks do I give to each employee? Using mathematical optimization, the tool gets an optimal schedule for each employee in order to maximize the results. If you could not attend our Webinar: Discover how to maximize the sales potential of the store, now we give you the option to download the session. Send an email to info@orquest.es with the subject: WEBINAR DOWNLOAD. Thank you very much.